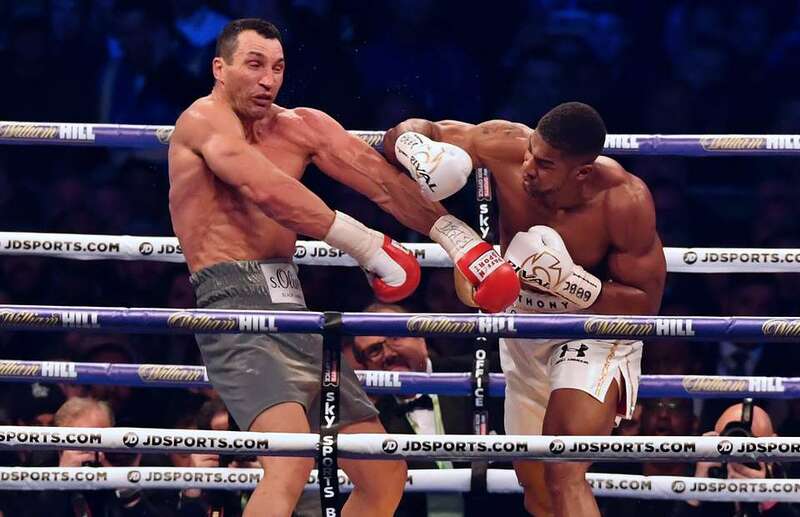 Anthony Joshua became the main man of heavyweight boxing scene after his victory against Wladimir Klitschko. The public are now clambering to find out who will the big man take on next. Here are 10 potential opponents that are most likely to be facing AJ in the near future. This fight is inevitably going to happen, its just a matter of when. Fury is back in training but his weight his still huge, although he does look sharp on the pads on Instagram. Fury and Joshua is the big money fight, two opposites who believe they will win against each other. In my opinion, Fury has the best chance of beating Joshua, he offers a unique blend of heart and awkwardness that Joshua may struggle to come to terms with. Its just a matter of what detrimental effect the party lifestyle has had on Tyson Fury, if any. Both have beat Klitschko, one out-boxed him and the other out-fought him. Who is the true world champion will be decided when these two come to blows and I for one am very excited for it. Wilder’s name couldn’t suit him more. He is the wildcard. He has a chance of beating Joshua via knockout with his power. However, the calibre of fighters he has fought have been far lower than Joshua, they tend to be small and they all eventually get knocked out. The fight which didn’t end in a knockout, Bermane Stiverne was a much closer affair which could have gone either way. So it seems that Wilder needs to step up if hes thinking of beating Joshua. But an unbeaten powerhouse like Wilder with a unique physique and athleticism could cause a big challenge. For this fight I would pick Joshua, however I would not be surprised if there a surprise KO on the horizon. Parker is the other heavyweight champion in the mix. He is on the periphery of the true title picture mainly because he is from New Zealand and is so far alienated from the centre of heavyweight boxing which is either USA or UK. Parker is a strong, powerful boxer, with youth on his side. He has a chance against Joshua, but I think his style is suited to Joshua and Joshua would eventually win by KO. Whether this fight will happen in the near future is yet to be seen, but sky have been showcasing his last couple fights so that might suggest they are looking to set up the fight. The fight is worth it for Joshua because it is a chance to further unite the belts. Wlad gave his best shot against Joshua and almost got the job done. I felt that the middle rounds let him down, he let Joshua recover and when he did, Klit couldn’t handle Joshua’s power. That uppercut will live in the annals of boxing history for a long time, AJ almost took the man’s head off. True to form, Klitschko’s management secured him a rematch and this time Wlad wasn’t jumping at the chance. We still have not heard his plans. In my humble opinion, I don’t think Wlad should take the fight. I think that was the best Wlad can do at his age and I wouldn’t want to see a legend fall even more than he has. I would like to see him continue however, he should pursue one more championship before he eventually retires. A big money fight in the US or one last in Germany with Parker or Wilder would be great to see. If Wlad proved anything against AJ is that he has not got old in the ring like many suggested after his fight against Fury. Ortiz is the most avoided fighter in the heavyweight division. The guy is a powerhouse. Fury himself suggested that the guy is not worth fighting because he doesn’t speak English and is a dangerous fight. I do believe however that Ortiz is beatable. He is a monster, but he would gas quick against Joshua and Joshua would win by impressive knockout I feel. I would love to see this fight, two absolute beasts pitting off against each other. Ortiz is a marketable fighter and is a legitimate threat to anyone in the heavyweight division. With Ortiz’s close links to Matchroom it is highly possible. Okay, it was clear Haye has lost many of his abilities. He is not the same fighter that he was many a years ago. His body is worn, he couldn’t handle going 12 rounds with Tony Bellew so the chances of him beating AJ are very slim. However this is still a money fight. The two fighters are very well known in the mainstream and this fight would intrigue the interests of many. Haye would need a warm up fight first against an impressive opponent, for example, beating Tony Bellew could get him back on top. The question is, is Haye past it? He probably has a couple years left in his fighting career so once he is back from injury we will see what the Hayemaker can produce. Pulev is the IBF mandatory challenger. If a unification fight cannot be arranged then this fight is likely to happen. It is clear what would happen between these two and this fight does not capture the imagination. Pulev had a good fight against Chisora but was easily beaten by Klitschko. Any of the taller heavyweights are able to Pulev and I don’t rate him in the same league as Joshua. You can be sure however, that I will be placing a big bet on Pulev if he and Joshua meet because the odds will be astronomical. The other Fury is a highly disciplined, respectful and quiet man. He is a qualified boxer but is definitely an unproven entity in the professional boxing ring. He is unbeaten however, barely losing a round on his journey. He recently pulled out of a Parker fight with injury and is looking to get that fight back up and running. Based on what we have seen so far it is clear that Joshua has fought better opponents on the bigger stage. But could Hughie be the surprise package in the heavyweight division, it is yet to be seen. Bellew made headlines after shocking the heavyweight boxing scene with a win of dangerous David Haye. Bellew has been on good form in general recently and is looking for two big money fights before retirement. However, he has publicly stated that he does not wish to fight AJ and it looks unlikely that fight will happen. Who Bellew fights next remains to be seen, but I would like to see him fight Haye again before a final heavyweight championship match.